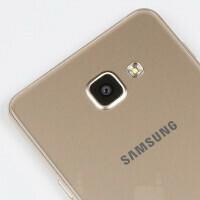 Mystery Galaxy C7 spotted on AnTuTu, no-compromise midranger? An AnTuTu benchmark screenshot of a mysterious new Samsung handset popped up on Chinese social media Weibo. The device is allegedly called the Galaxy C7, code name SM-C7000, and seems to be of the upper-midrange variety. According to the information provided, the new Sammy handset will tote a Qualcomm Snapdragon 625 SoC, 4 GB of RAM under the hood, and a 1080x1920 pixel resolution display up front. Its cameras are pegged as a 16 MP main shooter, and 8 MP selfie snapper, internal storage has 32 GB of space, and, of course, its software runs on top of the latest build of Android – 6.0.1 Marshmallow. This looks like a handset that would fit right between the midrange Galaxy A7 and flagship Galaxy S7 on Samsung's tier tree. We would assume that it will also be dressed in shiny metal and glass materials. At first look, it could be a great choice for those that don't care much about QHD (1440 x 2560) resolution on their phone and would rather grab a fairly high-class handset from Samsung at a lower price point than what the S7 goes for. According to the screenshots, the device got 60140 points — that's not too bad – it's tailing last year's Galaxy S6 by a bit. Snapdragon 625 >> Exynos 7580 in A7 (14nm archtecture in SD 625 vs 28nm in Exysnos 7580 and a better GPU too). It remains to be seen if they will actually price the C series below the A series. C series would be a much better buy if that's the case. It says Snapdragon 625. Not SD 652. SD652 is much more powerfull. 4x A72 + 4x A53 + Adreno 510. SD 625 which powers this C7 device... has 8 Cortex A53 cores clocked upto 2Ghz. And adreno 506 gpu. Clearly SD652 is better than SD625. So the title of this article is not appropriate. Not exactly " no compromise " midranger. For a mid-ranger phone, SD652 is much more than enough but 4GB of RAM is a big future prove, so "no compromise" is still true here. Snapdragon 625 is based on 14nm architecture, so it should be really efficient and plenty powerful. Great soc for mid range devices. The C series may make sense. They may be placed immediately below to the A series. The usp being full metal build for people who are not keen on the glass back A series bodies. Name of the game are 6.3'' bezel-less smartphones. There lies the fortune in smartphone industry. Had I a production line in my living room, I would become a billionaire. Actually the biggest compromise will be the lack of software updates from Samsung. Please change the title of this article. it does not match with the specs that this phone offer! Samsung Galaxy C7 = Samsung Galaxy S7 Compact?